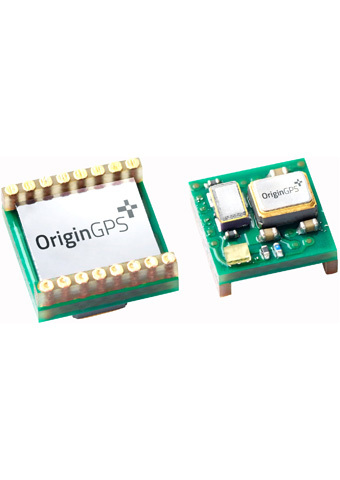 Nano Spider (ORG4400) is a fully-integrated, highly-sensitive GPS module. Designed to support ultra-compact applications such as smart watches, wearable devices, trackers and digital cameras, Spider is a miniature GPS receiver that continuously tracks all satellites in view, providing real-time positioning data in standard NMEA format. Measuring only 4.1�4.1�2.1mm, the Spider is a fully integrated GPS module. Unlike GPS modules of similar size, it includes LNA, SAW Filter, TCXO and RTC crystal as well as a power management unit. The Spider module offers superior sensitivity and outstanding performance, achieving rapid time to first fix (TTFF) in less than one second, accuracy of approximately 1.5 meters, and tracking sensitivity of -163dBm.